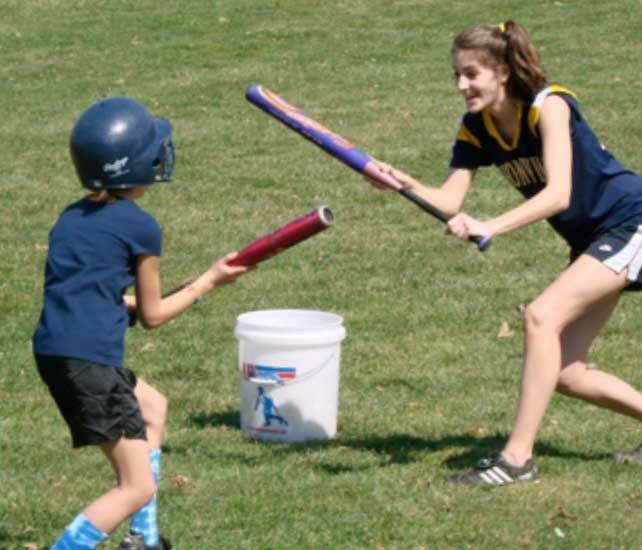 Unionville High School softball players work with younger girls during the 2010 clinic. EAST MARLBOROUGH — There will be a softball clinic for girls age 7 to 14, Sat. March 26 at Unionville High School. The event is open to girls of all skill levels. Players will get a chance to learn all aspects of the game – fielding, hitting, base running, pitching, catching, mental preparation & conditioning. Plus it’s a great chance for younger players to meet and work with the players and coaches of the 2011 UHS softball team. Players should bring a bat, glove, sneakers and cleats. The cost of the clinic is $25 and registration forms can be downloaded by clicking here. The registration deadline is March 23. For more information, check out the Unionville Softball Website.